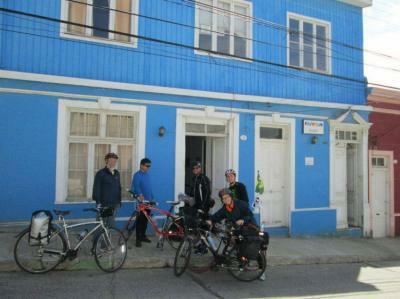 Valparaiso – Hostels in Valparaiso. Maps for Valparaiso, Photos and Reviews for each hostel in Valparaiso. 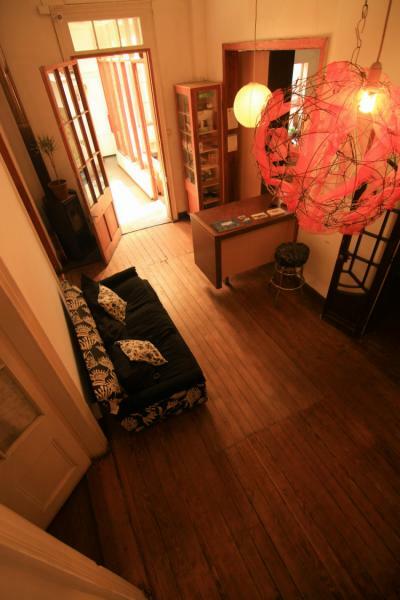 Looking for a hostel in Valparaiso? Look no further, all the good deals in Valparaiso are on Dorms.com. Like thousands of other people every month, book your hostel securely at the best price in all neighbourhoods of Valparaiso. On this site, you can easily find a hostel downtown, in a trendy neighbourhood; a hostel in the student- university district, close to bus or train stations, airports or major attractions of Valparaiso. We are located in the best area of this amazing city. 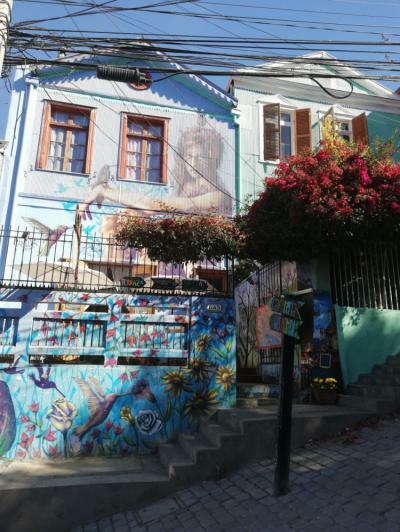 Our neighborhood is the historical Cerro Concepcion, and is a hill protected by UNESCO, full of beautiful houses, viewing points, street art, restaurants, cafes, shops, galleries, bars and clubs. You will also be steps away from banks, beaches, the port, the green market and the greatest funiculars (elevators), typical of Valparaíso. In fact, to tour around our neighborhood you can use 3 of the most typical funiculars. The hostel is located in a nice neighborhood with lots of shops and businesses and just 4 blocks from the city’s main bus station. Also it is within walking distances of the main tourist attractions such as Galeria Municipal De Artes, Catedral de Valparaíso and Carmelitas Cerro Bellavista., amongst other landmarks of the city. Furthermore, near to our facilities the guests and travellers can find several supermarkets, markets, restaurants, plazas and public transport stops. Good hostel. Check-In was a little slow.. Take the ‚Tour for Tips‘ if you’re new in town!! I extended my staying in this hostel. The location is just perfect and common areas really amazing. Definitely recommended. A home away from home. Staff speaks a little English but we were still able to understand each other. Well equipped kitchen that you can use. Friendly hosts. Located close to the bus station. Viewpoints, bars, restaurants, port, heritage buildings and museums, safe area. 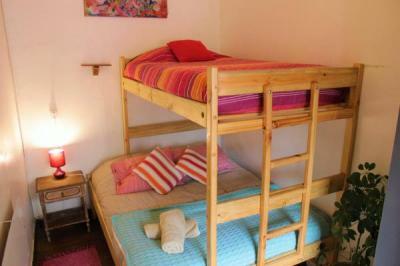 Hostal Casa Aventura is located in Valparaiso. This port, with 300.000 inhabitants, enjoys a Mediterranean climate. Its location by the pacific gives it a fresh breeze on hot summer days and also a wealth of fish and seafood. Colourful houses are distributed over numerous hills connected by winding streets and long stairways. This unique architectural inheritance was recently declared by UNESCO World heritage status. The staff were very helpful, always more than willing to help. The breakfast is included, the bathroom is spacious and clean, so are the rooms. Im so glad I stayed here. The location is perfect, close to all the main attractions. very relaxing vibes. staff were very kind and helpful. beautiful location. spacious and bright rooms. clean and comfortable beds. will stay here again! I felt the warmth and welcoming vibes of this place, the moment I entered. The hosts were kind, and very helpful. The location is perfect, and so that gives you an awesome view. The price is so much less on what you are getting. Its very cozy, and clean. I had a goodnight sleep. Thankful! The hostel isn't much, but its beautiful. It was the perfect place for me to clear my head. Its very laid back, with wonderful people. Perfect location, amazing breakfast, and clean! We are located in the heritage sector of Valparaiso, surrounded by restaurants and beautiful craft shops. A lot of life and joy in the streets. 5 minutes walk to the city centre and 10 minutes from the port and museums. Located in a safety heritage area, close to touristic points (Paseo 21 de Mayo, Ascensor Artillería, Plaza Sotomayor, Muelle Prat). Excellent conectivity to all points of the city and surroundings (Viña del Mar, Reñaca, Concón, Laguna Verde). The Rodoviario bus station is a 10-minute drive away. The best location, cozy and quaint, very quiet to get a good night&acute;s sleep, a nice caf&eacute; downtstairs, hot water for showers. They let us leave our luggage there for free until we had to leave. Amazing decor and location. Staff helpful. Clean and good breakfast. Location, large room with comfortable bed, secure property, personable owner. The owner Alejandro is incredibly helpful and the double room is a steal! Breakfast was nice too. We also enjoyed the location, since it gives you a chance to see the real Valpo, not only the touristy bits.